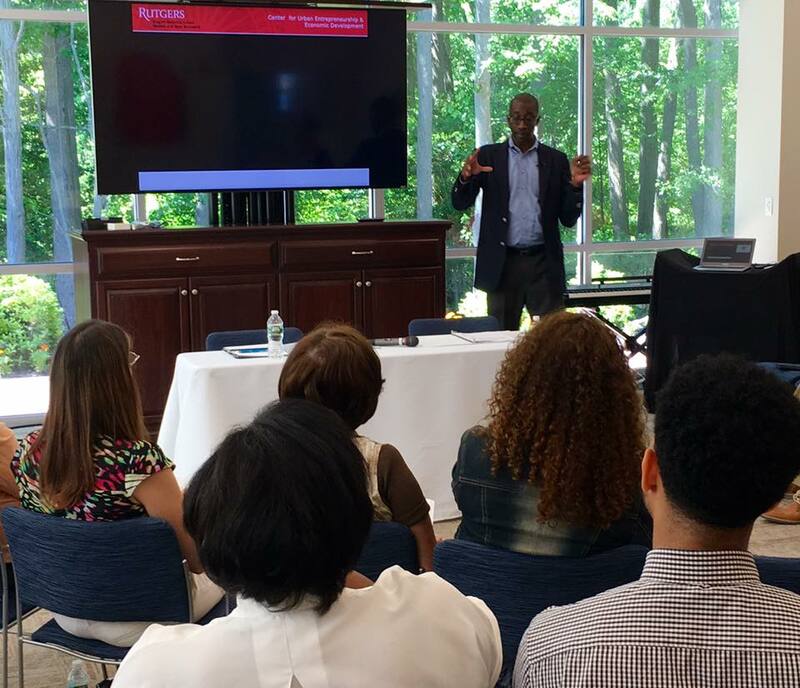 Rutgers University’s Dr. Jeffery Robinson of The Center for Urban Entrepreneurship and Economic Development led a day-long summit at the Mission and Resource Center on Saturday, June 18. Centered on re-imagining mission, community development and the church, the summit was a part of Greater New Jersey’s Communities of Hope and brought out 50 people representing 20 congregations and two seminary students. Dr. Robinson, an Assistant Professor of Management and Entrepreneurship met with Communities of Hope leaders, reminding them that Jesus was an entrepreneur. “Jesus was a risk-taker, and in His narrative preaching engaged all the major industries of His day including shepherding, fishing, winemaking and even investing,” said GNJ Director of Mission and Multicultural Ministries, Nicole Caldwell-Gross. The event was designed for all churches, pastors, and laity interested in innovative mission and who think outside the box with a desire to learn how to do effective outreach, community development, mission and ministry. Dr. Robinson’s research described how business practices and entrepreneurship can be used to impact societal issues, particularly concerning the community and economic development issues in urban metropolitan areas in the U.S. and abroad. With a goal of stirring the imagination and breaking up the limited definition of what “mission” is in order to explore what mission could be, the summit was an inspiring and informational introduction to innovative entrepreneurship through the church. Dr. Robinson led the group through countless creative examples of social entrepreneurs whose work has transformed inmate recidivism rates, pollution, hunger, unemployment and homelessness. The training was one of a series for Communities of Hope congregations to equip themselves to transform their communities with real, tangible strategies.